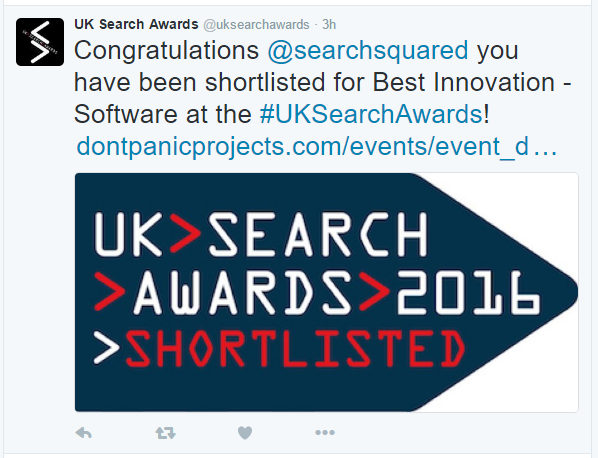 Just a quick post to announce we’ve been shortlisted for the UK Search Awards in the "Best Innovation – Software" category. Hooray! The awards are taking place on 30th November 2016 and will be presented by comedian Jason Manford. View the shortlist for the UK Search Awards.